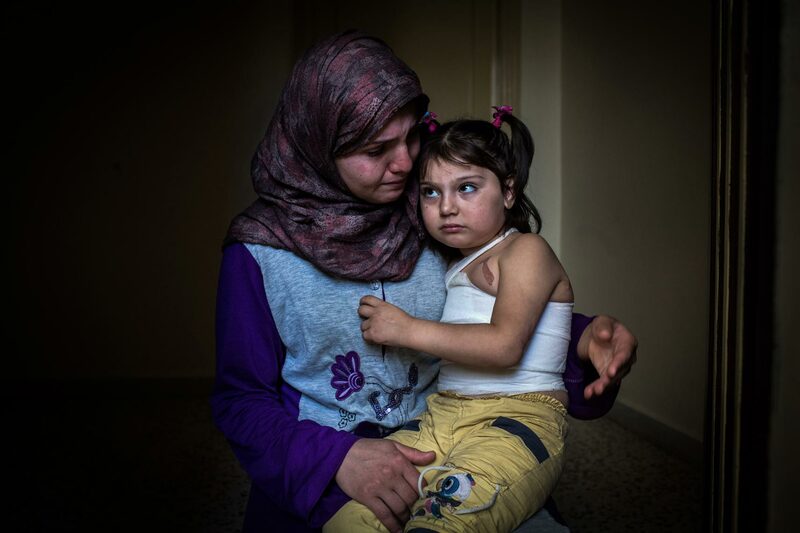 Yemen, 5, and her mother at home in northern Lebanon. The girl was scalded by boiling water as bombs fell close to her home . Her mother carried her to Lebanon days later.